This year marks the 40th anniversary of the formation of Bauhaus. The gold standard of gothic formed in 1978 and went on to release four massively influential, impressive, and magnificently dark experimental albums which cemented their place and importance in music history before disbanding in 1983. Meanwhile Murphy has revealed on his website that a series of Bauhaus albums will be reissued later this year on colored vinyl. Details on the reissues have not yet been announced. 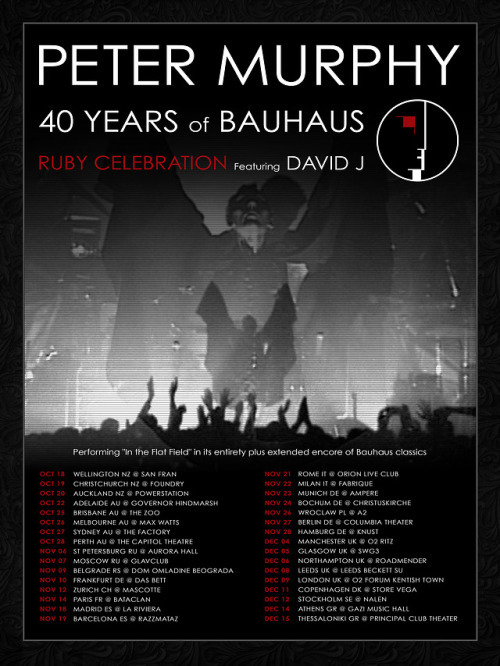 View the global list of dates for the 40 Years of Bauhaus tour below.